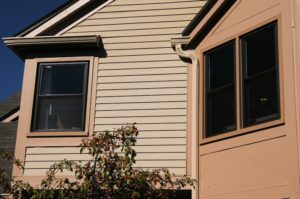 Is it time to repair the windows in your Mt Prospect, IL home? Whether you are dealing with broken glass or you want to upgrade your property, Scientific Home Services Ltd is here to help! We understand there are many reasons why customers need our services, so our goal is to customize your window repairs to meet the needs of your family. The advantage to choosing our team lies in the top-notch service that we provide to each customer. We are a family-owned business that has been around since 1928. We focus strictly on the windows and doors industry, providing specialized knowledge and service to each customer. Our team members have an average of more than ten years of experience with our company! As you learn more about our business and you interact with our employees, you will see that your satisfaction is our highest priority. We have a great reputation because we work hard to deliver the best services available in the area. Do You Need Window Repair Services? How do you know if you need to repair your windows? There are two scenarios that you might be facing. First, you might be dealing with emergency window repair. If something comes in contact with the glass and causes it to break, then you need to replace the glass as soon as possible. Broken glass can be dangerous to your family and pets. Additionally, the hole will allow inclement weather, bugs, and pests to come inside. The second reason that you might be considering window repair services is that you want to improve the quality of your home. At first glance, your windows might seem fine, but a closer inspection will show that it is time to repair the frames or glass because of regular wear and tear. Most homeowners don’t understand enough about the industry to determine if repairs or replacement windows are needed. If you suspect a problem, call a window expert as soon as possible for an inspection in order to be sure one way or the other. What should you expect when a window professional comes to your home? Our goal is to complete an inspection to understand the current quality of your windows. Then, we will make recommendations about the best way to proceed. During this visit, we take the time necessary to talk to you about your goals for the project. This conversation helps us to identify the best products and services that will match the needs of your family. In some situations, we might be able to offer basic repairs to minimize the cost. Other times, it might be necessary to replace the windows to ensure the long-term quality of your home. There is no reason to stress about this consultation. We always provide a low-pressure environment so you don’t feel pressured into a purchase. Instead, we want to provide the information necessary to help you make the right decision for your family. When you are ready to move forward with the window repair project, we will schedule a time for the repair work. For minor repairs, sometimes the work can be completed on the spot. Other times, we will need to have the replacement windows manufactured and schedule an installation date in the future. If you need to repair one or more windows in your home, then it is essential to be selective about the contractor that you choose to hire. The quality of your contractor will have an impact on the services you receive. Choosing an inexperienced contractor could have a negative effect on the durability of your home in the future. Talk to your friends and family to see if they have any experience with the contractor you are considering. Also, look online to find more information about the company. Online reviews can be a great way to see how satisfied other customers have been with the services that were provided. This research is essential to help you get a competitive price and the best service. Your family deserves the best, so it is important to make sure you are choosing a contractor who can provide the right services for your home. Are you interested in learning more about window repair or replacement services? 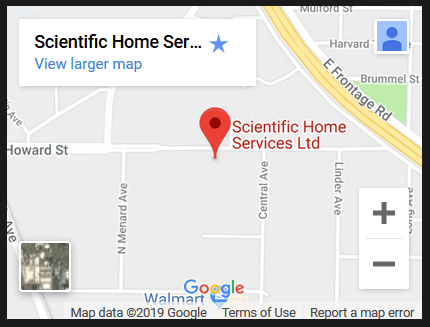 We invite you to contact our team here at Scientific Home Services Ltd. We have worked hard to provide the best services in Mt Prospect and the surrounding areas. Come to our showroom located at 5639 W Howard St, Niles, IL 60714. We always provide a free in-home visit to inspect your window and provide recommendations about the right services for your needs. Call us today to schedule a time for your appointment: (847) 752-0370.